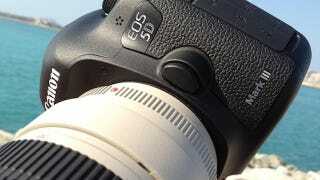 Is This the Face of the Canon 5D Mark III? Last month, a mystery photo surfaced, allegedly showing the back of the mythical Canon 5D Mark III in action. This month, a mystery photo has surfaced, showing the front of the mythical Canon 5D Mark III in action. Is it really real? Does this mean it's coming soon?